Working in construction often requires a lot of heavy lifting power. There are a range of different pieces of equipment, though, that each offer specialized capabilities for different applications on-site. Luckily, Rackers Equipment has all the different lifting machines you may need, from cranes to forklifts to manlifts. Let’s start with the biggest and the best – cranes. These heavy-lifting powerhouses are a necessity at many large construction sites, helping move large fixtures, building components and even other machines into place. Cranes operate in a number of different situations, and can make working in tight spaces, places without convenient road access or uneven grounds easier. Whether in construction where lifting building materials is commonplace, or in a quarry operation where a crane may move sorting equipment or drills into place, cranes are versatile and adaptable machines. Forklifts are another staple at any jobsite, and can even be extremely useful to have around if you run your own small business. Forklifts can easily maneuver inventory pallets from one side of a building to another without wasting precious time or manpower. They can also be a great benefit on a construction site, helping lift machines or ancillary equipment into place or for moving storage bins or supplies around from one end of a jobsite to the other. Manlifts are what you’ll need when you’re doing specialized work, like electrical work, in an awkward spot. If a ladder isn’t going to cut it, you need a manlift. These “bucket trucks” can lift a worker up to an elevated place to reach otherwise impossible to access places. A manlift’s bucket makes it possible to tend to electrical issues or mechanical problems, letting your workers assess the failure and make necessary repairs or tackle painting or other needs. 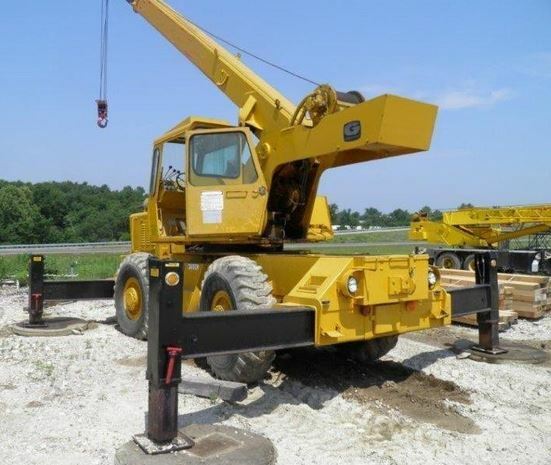 If you’re in need of lifts or cranes for your jobsite, check out the crane, forklift and manlift inventory available at Rackers Equipment. We offer both new and used equipment that will work for anyone’s budget, and our knowledgeable team is here to help you figure out the right type of machine for your needs. Shop our online catalog now or call us today at 573-635-8700 to learn more.